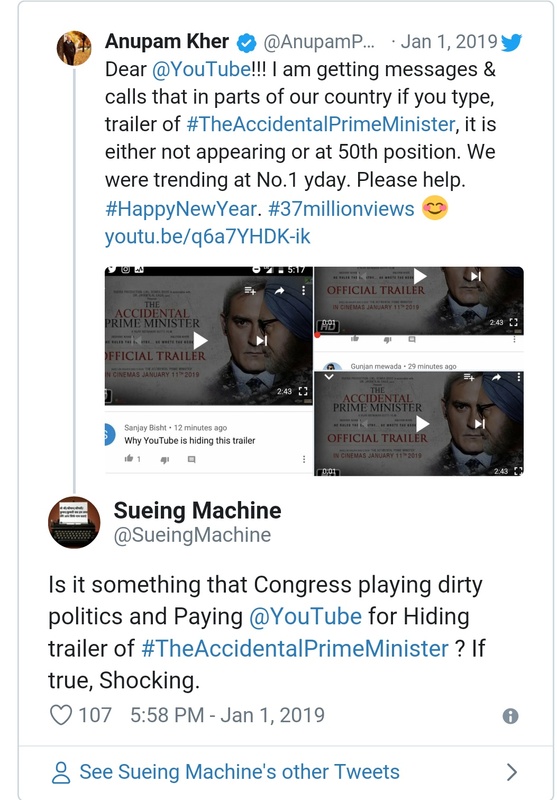 The actor Anupam kher has asked question to the India YouTube on removing the trailer of his upcoming movie "The Accidental Primeminister" . The officila Trailer of the movie was released on Thursday night and going to be released on january 11, 2019. He rolled as the former Priminister Dr. Monmuhon Singh , which is the most deficult role for him. Unfortunately the trailer of the upcoming film is missing from the YouTube & not available as the first result on YouTube. 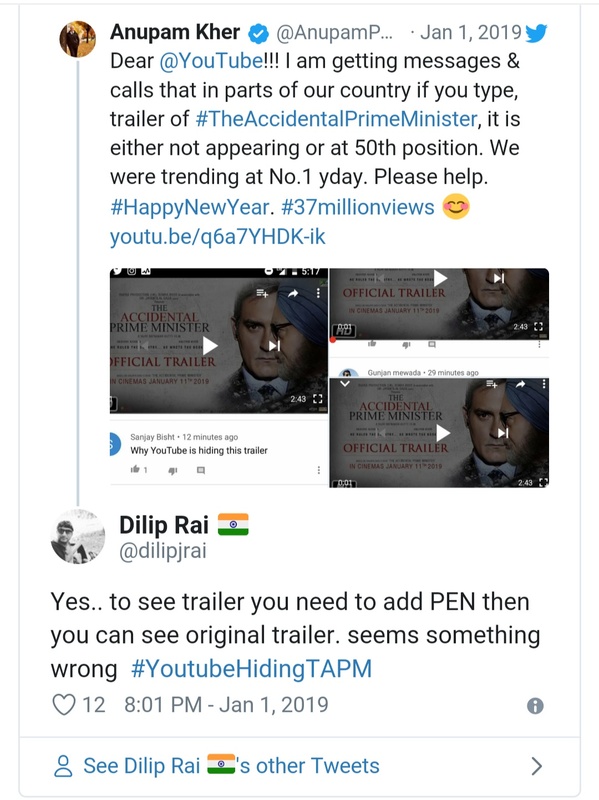 #TheAccidentalPrimeMinister , it is either not appearing or at 50th position.We were trending at No.1 yday. Please help. But it seems that the tweet couldnot affect on indian citizens. Here are some reply from people on Anupam kher's tweet. 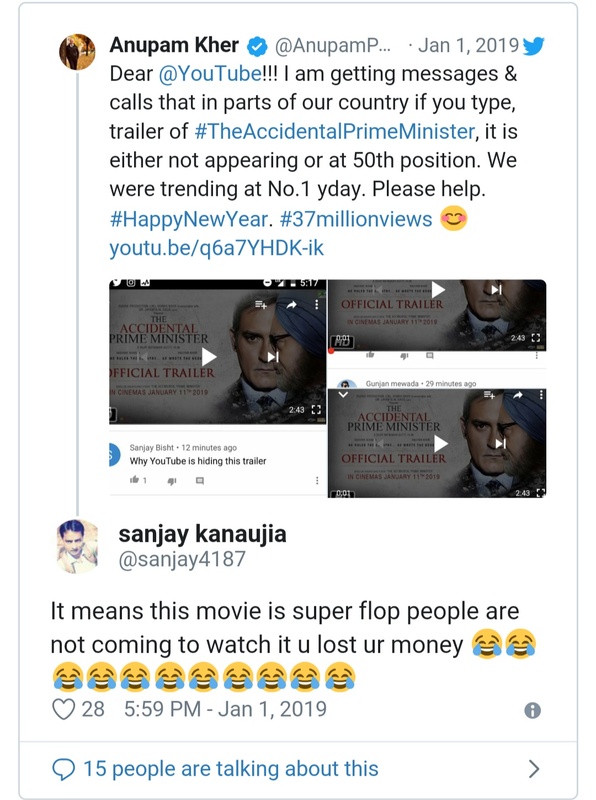 This movie is based on the Book on former PrimeMinister Dr.Monmuhon Singh which has the issue of anti -Congress propaganda directed by Gutte Vijay and written by Mayank Tewari. 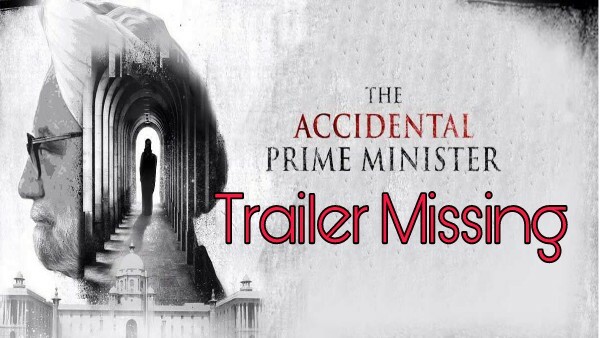 Also it has been heard that a case filed against actor Anupam kher for the movie "The Accidental Primeminister" in Bihar court. Lawyer Sudhir Kumar ojha has filed the case in Mijaffarpur Chief Judicial Magistrate . But the good news is that the trailer is came back on youtube after the huge controversy . You can directly watch the trailer on youtube now. Thank you!